LAANC, or Low Altitude Authorization and Notification Capability system, allows U.S. commercial drone operators to obtain automatic authorizations via our partnership with AirMap, an approved LAANC UAS service supplier. Before LAANC, waivers to fly in U.S. controlled airspace could only be obtained through a lengthy application process that can take up to 90 days, often grounding commercial operators before they could take off. Now, many drone flights can be authorized within seconds at certain altitudes, opening thousands of miles of controlled airspace for commercial missions that contribute to the drone economy. 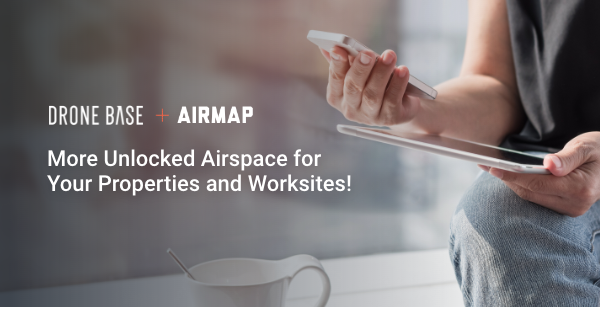 This new integration means that many DroneBase Pilots will be able to secure authorizations in a significantly shorter period of time. Previously, authorizations could take up to 3 months or more; the new instant approval integration reduces that window to a matter of seconds. We're excited about this newly-created efficiency, which ensures that DroneBase can consistently deliver on our promise of time-efficient aerial imagery services. That's not the only value-add for our customers, either. Roughly 20% of the properties we are asked to fly fall into restricted airspace, due to their proximity to local airports. As DroneBase's Head of Operations illustrates, “We could have been in 'restricted airspace' two miles away from an airport, but a Mission might only require we fly up to 25 feet – lower than the palm trees here in LA, let alone an airplane! Still, we were unable to accept those client requests,” he continued. With LAANC, DroneBase Customers now have access to new swaths of land that were previously inaccessible for drone flights. This means more accepted missions and more stellar aerial imagery to meet all of our customers' needs! Looking for more information on LAANC? You can also review the complete list of LAANC active airspaces here. Ready to book your next flight? Contact us today.